Parents and fellow grown-ups, the time for you to be on Snapchat has arrived. While there is still a lot of “hooking-up” being done on the app, the Tinders of the world have stolen the booty-call thunder. The teens made it popular, the Millenials made it famous and now it’s time for you to get snapping while the opportunity is still new. Right now Snapchat’s user base is somewhere in the 12-32 age range with about 75% being over 18. However, like all social media platforms, the demo changes which means that, early adopters (that’s me) have taken to it in droves, and women in the 30+ range (that’s also me) are starting to use it more. This means that now is the time to get on Snapchat if you aren’t already on it and start to learn about its features so that you can figure out how to market on it. It’s always best to learn a social platform early on so that you aren’t playing catch-up when it becomes more popular. 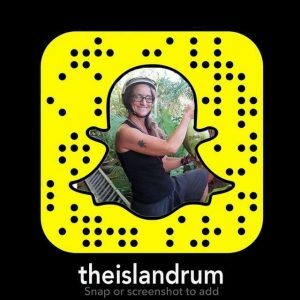 I’m not a fan of wheel re-creation, so I’ll give you a great resource to learn how to use Snapchat here. Leslie Samuel of BecomeABlogger.com does a great job of giving you the basics to get started. Remember, this platform was first adopted by the kiddos and later Millenials, and they like quirky and silly and are really comfortable showing this part of themselves. Being real and spontaneous in your videos which can last up to 10 seconds is expected. Personally, I’ve found that to be a challenge. Don’t get me wrong, I’m pretty quirky and am very comfortable showing that side in person, but I’ve never been one to vlog or document my personality on camera. So Snapchat is definitely what I would call a necessary evil for me. If you catch my ridiculous snaps, know that I’m still a work in progress. My aim is always to know the platform, its tools and its audience, but in this case, it has meant adopting the communication style too. You WILL get x-rated pics and come-ons. You’re going to get all kinds of weirdos hitting you up with naked pics, junk pics, you name it; both male and female. Luckily, Snapchat makes it easy to just block them. So prepare yourself mentally and you’ll be fine. Yes, if you are, like me, an actual grown person who has been “adulting” for at least a decade or two, you will feel pretty old when you see the other snapchatters. Just remember, you are doing this to learn and be an early adopter. Don’t wait until there are thousands of people hawking e-books about this. In the meantime, I have a few folks for you to start following so you won’t feel like Rip Van Winkle. Like I said, it’s still a very young platform, but there are definitely some actual grown-ups you can follow. A couple of these are social media strategists and some are influencers. Here is quick list to get you started. When you are ready to explore, there are a ton of articles about who you should follow, just Google that sucker. 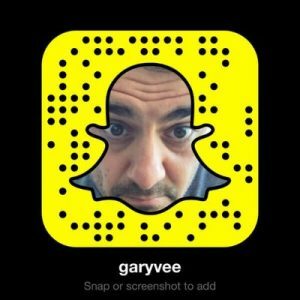 If you don’t know about Gary, you probably will hear of him at some point in your online entrepreneurial journey. He has been a big proponent of the platform for a few years. Granted, he is an investor in the company, but he also has walked the walk. He is a successful entrepreneur and social media expert. I love his no-nonsense attitude about what it really takes to succeed which includes him preaching two of my favorite terms “hustle” and “grind”. 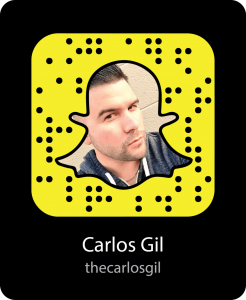 Carlos is fun to watch and very good at showing you how to use a Call-to-Action well on Snapchat. I really like his style of storytelling, and he is a fellow Cuban American in pursuit of his American Dream, which I dig. Brown was an integral part of both Y Combinator powered TrueVault. 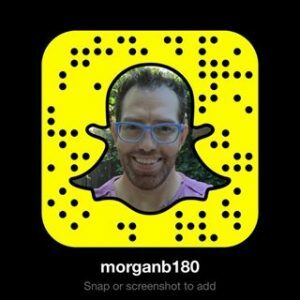 He is a frequent snapchatter and offers some great Q&A sessions on growth marketing. Vanessa doesn’t match my typical list of entrepreneurs, but as a lover of travel, I just love to view her snaps. 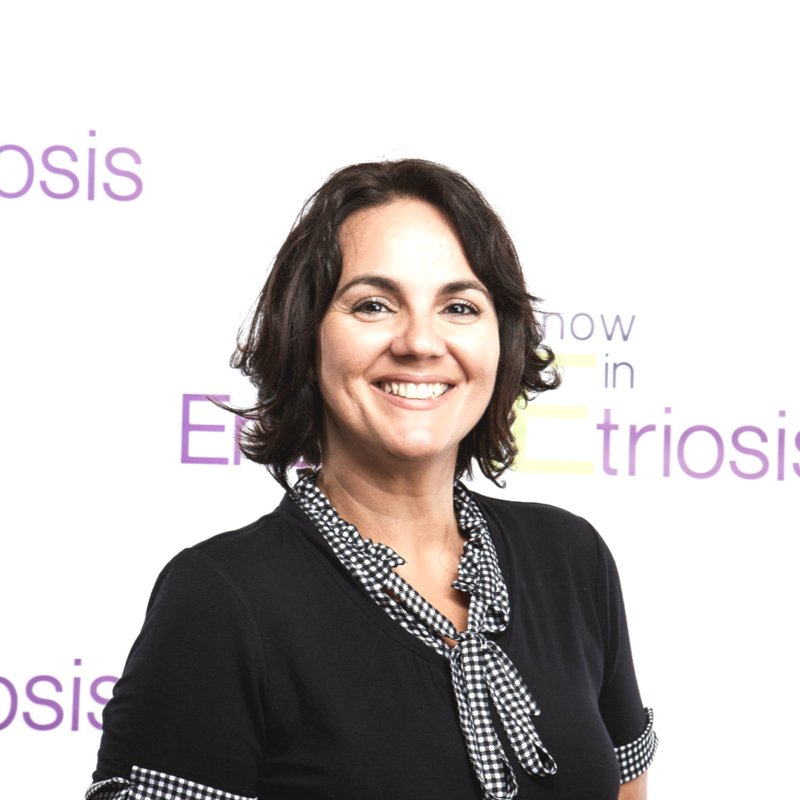 A short contract job in a (Singapore) hospital initially landed her in Southeast Asia, where she decided to take a break from her medical career and travel. She is based in Langkawi, Malaysia from where she continues her exploration of Malaysia, Thailand, Indonesia, Burma, Laos, Vietnam, Cambodia and other destinations on her bucket list. You didn’t think I would leave yours truly out did you? I am a good example of an entrepreneur who is a Gen Xer (read: non-Millenial) who is storytelling on Snapchat without posting bra pics or pouty lips. Listen folks, I’m a mom, wife and a professional, and while I won’t judge anyone for doing those things, I prefer to keep it G.
My boys and I love Snapchat for being silly. It is a great way to have fun while waiting at places. I agree, Snapchat is a platform you should be on. I enjoy watching the people I follow on Snap, I just need to get more involved in snapping myself! I love knowing that I can do a snap when I wake up and at least the filter will make it less scary. Snapchat is a great social media! I love it! I am very fond of Snapchat too. I can create a different kind of me and it is very hilarious. I just deleted SNAPCHAT actually. I like INSTA-STORIES a lot better… Because I already use Instagram. I don’t need more apps! ! Gigi, I felt the same way. We ran some internal tests at my agency, and Snapchat is still outperforming everything, including IG stories when it comes to response rates. Okay, you may have convinced me to finally get on Snapchat. I’ve been so busy on other social media, I haven’t had time to start this! Let the peer pressuring begin! I am thinking about using snapchat and you are helping me go in the yes direction. It sounds very cool. Glad to hear it Christina. Remember to use it for fun first and then start thinking about how you can use it to further your business interests. I must say I havent gotten snapping yet at all, as in no account. Mostly because My phone is Full and Everything on it is essential. So is probably priorities here! Thanks for sharing how to get started on it ! Julie, when you do get on, send me a snap and I;ll share some tips! I love snapchat! Me and the kids always have a mess around with the filters, there hilarious! Awesome, try getting in touch with folks you want to do business with too! I haven’t gotten around using Snapchat. My kids, nephews and nieces do and they have all these silly photos they make with the filters. I may check it out soon when I get some free time. I do not have a Snapchat account. I might get one down the line but right now I feel like I have enough social media accounts. I have Snapchat, but don’t really use it. I just mess around with the funny photos with my girls. They love it! It’s great for connecting with business contacts in real-time. You should try to find some and add them. See how fast they respond. I have an account! I have done nothing with it..you have inspired me to get creative! 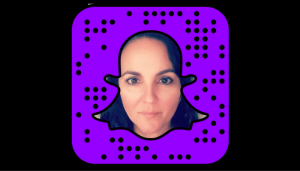 I LOVE snapchat, really easy and quick to use, love sharing my day with my family and friends. Me too, but I actually use it more for business. Nothing compares with Snapchat’s response rates. Jennifer, get on there while it’s still growing. You’ll thank me later when it gets saturated and everyone starts to sell how-to products. I need to confess, I only use Snapchat so that me and my kids can play with the filters. LOL! I need to check these accounts out. Thank you for the tips! Helen, I completely agree. 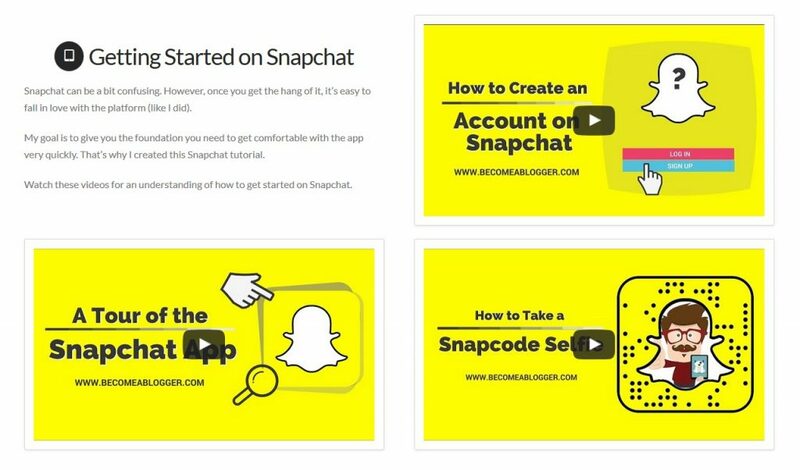 It’s not at all instinctual, which is a pet peeve of mine with Snapchat, but it’s worth getting to learn, especially as a tool for marketing as the demographic continues to change. Thanks for posting this! I have been hesitant to dive into Snapchat. I am bookmarking this post for reference! I didn’t use Snapchat yet but I did hear a lot of good things about it. I think for me it would be great to use as a communication channel while I am traveling, to show my followers different aspects of my trips. Joanna, it would be a great way for you to show quick footage of cool things along your travels. Honestly, I have never visited Snapchat much less join, however, maybe I will take a look after reading this. [ Smiles ] At the moment, I am not on Snapchat; I will have to think hard about whether or not, I wish to join it. Awesome post. Hahhahaha i recently started using snapchat only because a harry potter competition wanted me to do a face swap to enter. But once i started i couldnt stop. OMG it is SO much FUN!! love how the snap filters change daily. Last week I got to be both superman and the joker. Today I did the Sorting hat video. i love snapchat, it’s so much fun. something i can do with my 13 year old as well.